Ladies… Your dream is about to come true. Thanks to Mayyar, they are sponsoring for our WOW RUN 2015 event. Mayyar offers new beauty experience where quality products are accessible to many. With its newly launched fuss free highly nutritious Mayyar Collagen Beauty Drink, Mayyar brings to you quality product with better value than your daily high street take-away coffee! Silk peptide – Controls body weights and improve liver functionality while enhancing your general well being. Mayyar Collagen Beauty Drink will promote a healthier and beautiful you. Delivering more value to your daily beauty regime. No hesitation, this product is manufactured under GMP and HACCP environment, with KKM approval. 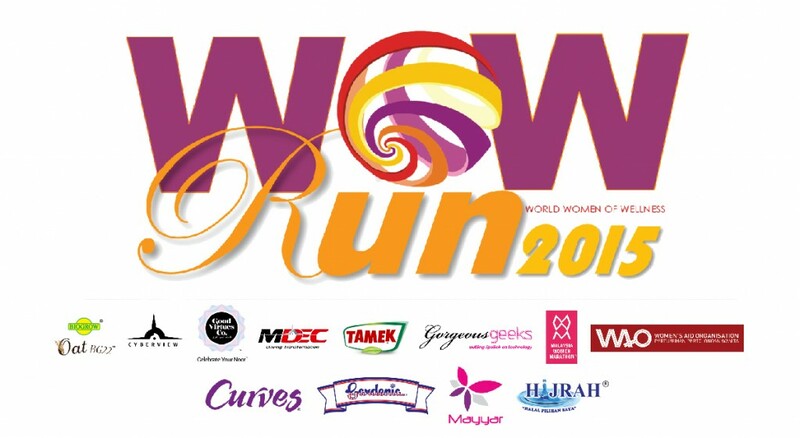 So, girls.. start register now and get it for free at WOW RUN 2015. Register here. Follow Mayyar Beauty on facebook and instagram. Enjoy promotional price till end of December 2015 where you get a pack of 10 bottles for RM88.50 and FREE additional 2 bottles. Retail price is RM115. For more info or to order, email mayyarbeauty@gmail.com or call +6019 271 6640. Or just connect with them via social networks. Get Beautiful Inside Out with Mayyar Beauty TODAY! 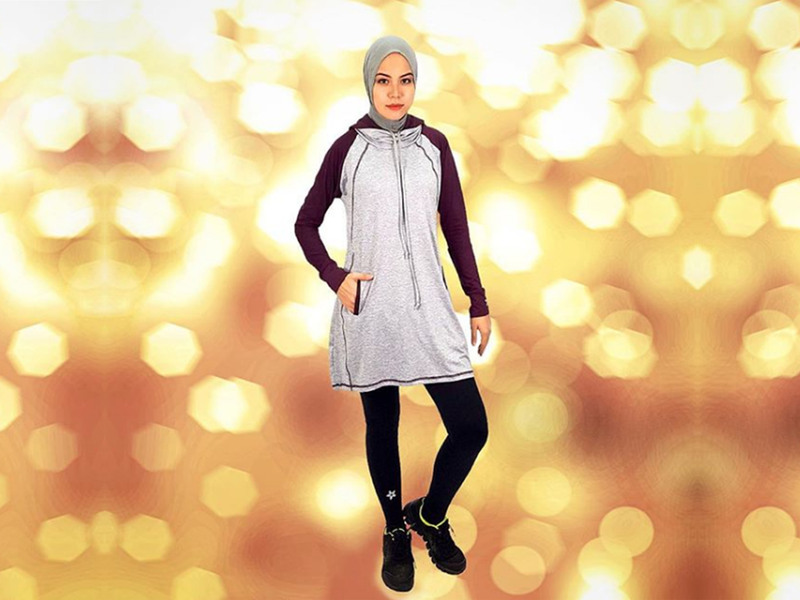 Up until the hijab went on, my world of fitness wasn’t what it is now. I preached that a healthy body meant more than appearances, but the words never resonated in my heart. I expressed to others the importance of focusing on how they felt, rather than the number on the scale. But here I was stepping on the scale every day to check if the number went down, making myself miserable by following restricting diets, and beating myself up if I didn’t feel like my workouts were ‘good enough.’ I was missing out on the number one piece of advice I was giving everyone else: having fun! 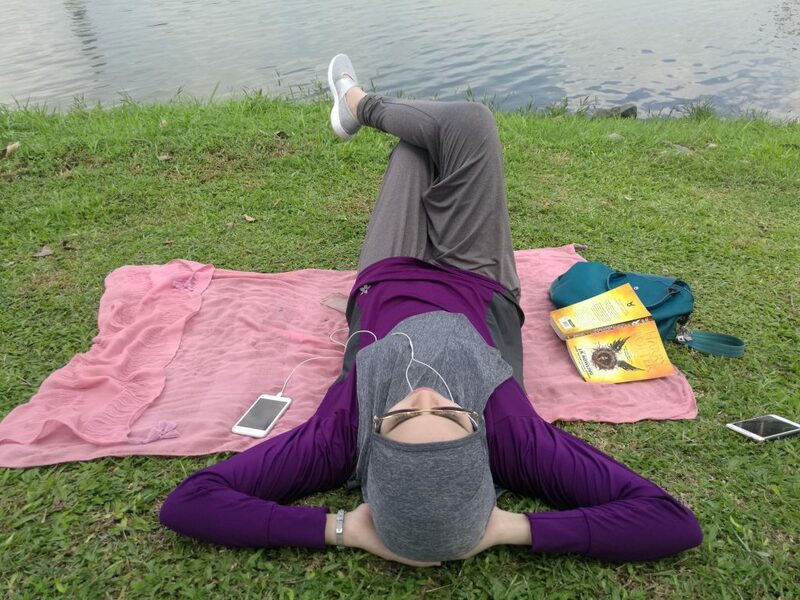 Once I started wearing hijab, not only did my life change, but fitness took on a whole new meaning. 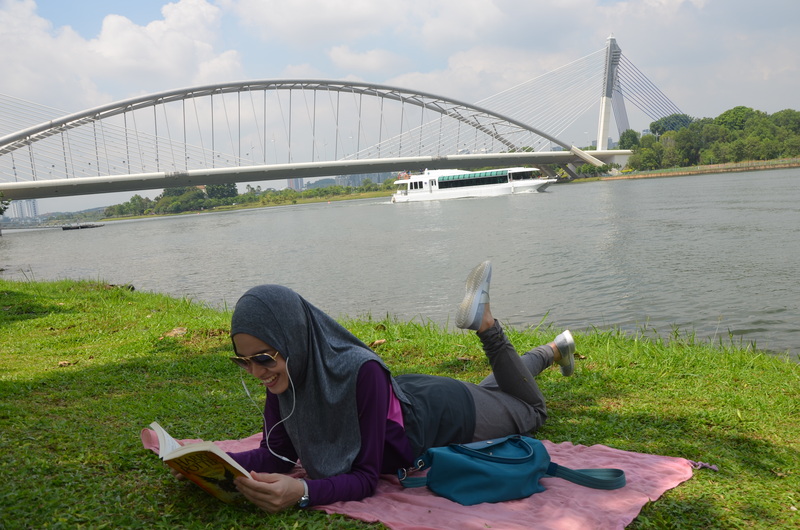 When you embrace hijab, you embrace it for reasons far beyond the concept of a hair covering. It becomes your identity, your protection, your safe place. It’s not about hiding behind the loose clothes and long sleeves, rather it’s about letting your personality, intellect and true self shine through. 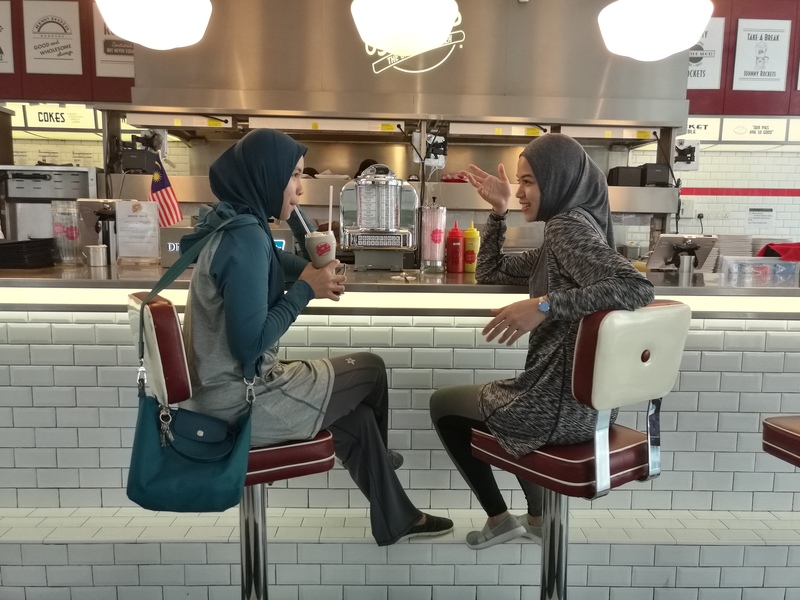 Exercise and nutrition have always been a big part of my life, and hijab has allowed me to grasp its due importance. I won’t say that looks hold no significance when it comes to a healthy lifestyle. Of course, we all want to feel good about ourselves; to look in the mirror and like what we see, and there is no shame in that. But this is just a small part of the fitness equation. First and foremost we need to learn to enjoy the ride. Fitness is truly a lifestyle, so let’s make it a lifestyle that we love! Since I began wearing hijab, which was almost 1 year ago, I’ve stepped on the scale maybe 2 or 3 times. I’ve lost interest in how much I weigh. I focus on how I feel, I focus on doing workouts I love, and I focus on keeping my inner body healthy for the sake of pleasing Allah. Most importantly, I can truly say that I love my body. It’s the same body that I had before I covered, it has the same flaws it has always had, but I’ve somehow managed to appreciate even those. I love it because it’s no longer subjected to society’s harsh beauty standards. I no longer allow my body to be seen, thus judged, by anyone other than myself. I no longer base my workouts on how many calories I can burn. I no longer avoid the foods I love in order to look like the women on magazine covers. People can no longer call me too thin, too muscular, or too much of whatever they see. For once, I am my only judge. 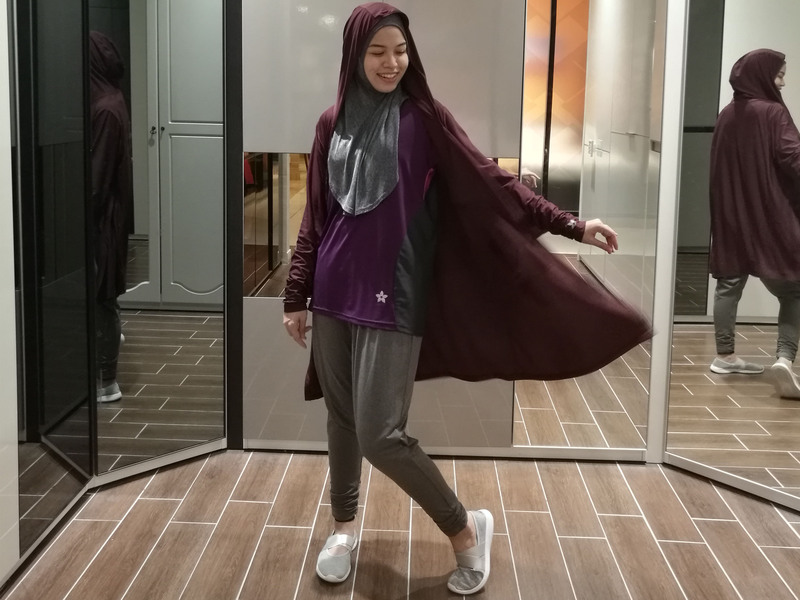 I fell in love with Nashata sportswear because their products allow for modesty, but show sportiness at the same time. I feel beautiful and liberated when I put on my modest workout clothes. Many people think covering up makes for more obstacles, or that it forces one to give upon certain aspects of life, like working out. But in fact I’ve found it is quite the opposite. Hijab has renewed the passion within me, the passion to inspire women through my experiences with health and fitness. It has allowed me to dig into my inner self and develop a complete and balanced sense of fitness. I’ve found a spiritual nature to my workouts and I am able to interconnect a healthy lifestyle with my faith. Hijab has allowed me to attach fitness to something higher than myself. 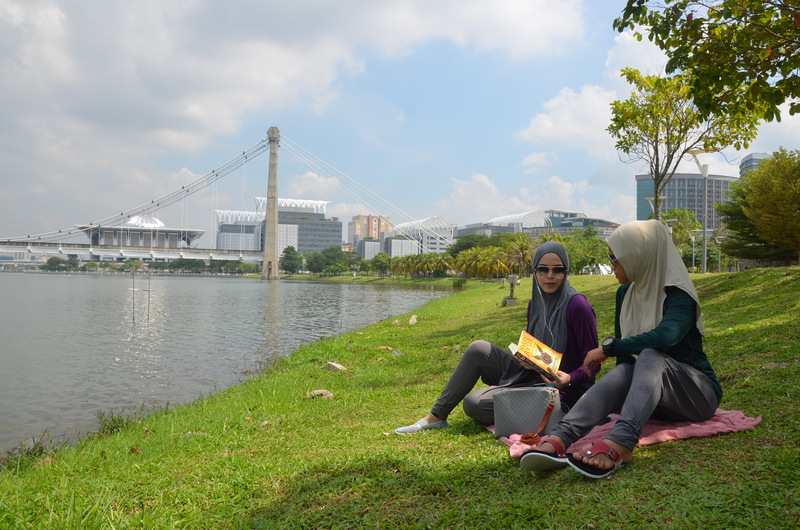 I now keep my body healthy for myself and for the sake of Allah, and no one else.